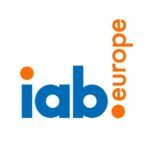 IAB Europe is the leading European-level industry association for the digital advertising ecosystem. Its mission is to promote the development of this innovative sector and ensure its sustainability by shaping the regulatory environment, demonstrating the value digital advertising brings to Europe’s economy, to consumers and to the market, and developing and facilitating the uptake of harmonised business practices that take account of changing user expectations and enable digital brand advertising to scale in Europe. Our mission is to promote the development of online advertising through: 1) shaping the regulatory environment; 2) investing in research; 3) providing thought-leadership; 4) establishing business standards; and 5) delivering education and training.